MY HERO ACADEMIA - Glass "U.A". 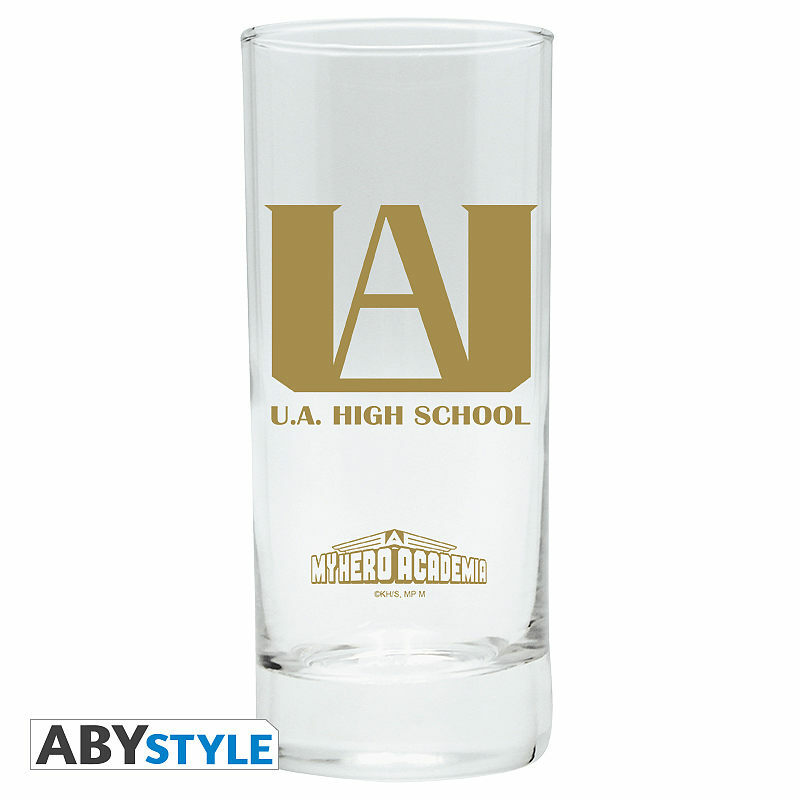 This My Hero Academia glass by ABYstyle is ideal to have a drink after another difficult U.A. High School test! 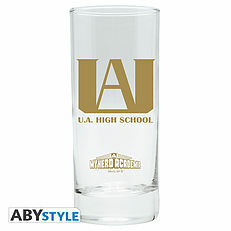 - Dishwasher safe: more than 700 cycles in the dishwasher. - Dimensions: Height 14cm – Diameter 6cm. 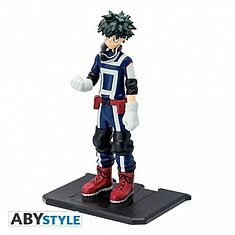 MY HERO ACADEMIA - Figurka Izuku Midoriya. 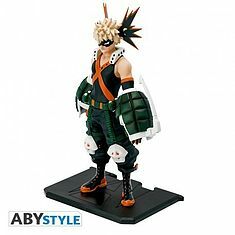 MY HERO ACADEMIA - Figurka Katsuki Bakugo. 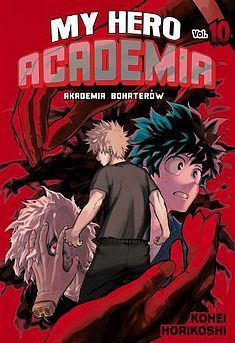 My Hero Academia - Akademia bohaterów - 10. 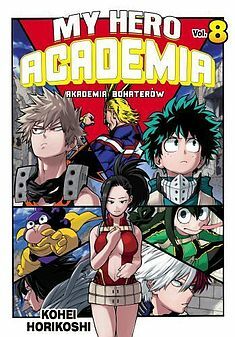 My Hero Academia - Akademia bohaterów - 9. 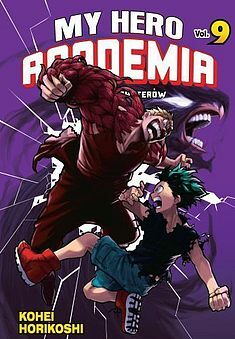 My Hero Academia - Akademia bohaterów - 8. 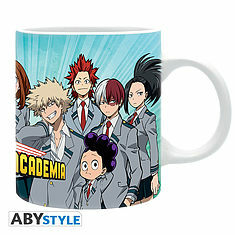 MY HERO ACADEMIA - Mug - 320 ml - "Class"- subli - with box. 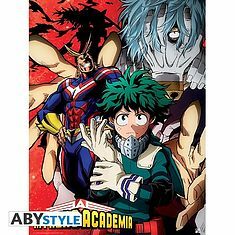 MY HERO ACADEMIA - Poster "Deku Vs Tomura" (52x38). 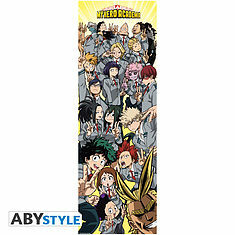 MY HERO ACADEMIA - Door Poster - Classroom (53x158). 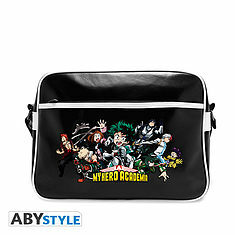 MY HERO ACADEMIA - Messenger Bag "Heroes" - Vinyle. 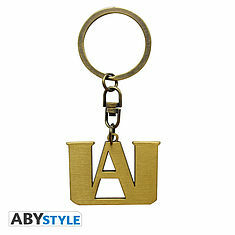 MY HERO ACADEMIA - Keychain "U.A. emblem". 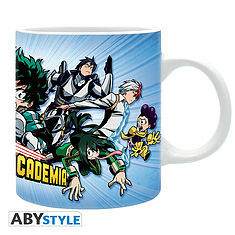 MY HERO ACADEMIA - Mug - 320 ml - "Heroes"- subli - with box. 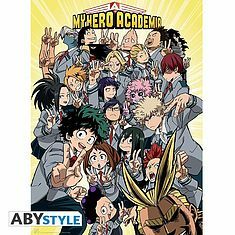 MY HERO ACADEMIA - Poster "Class" (52x38).